Help save a life and donate blood! One donation can save up to three lives! 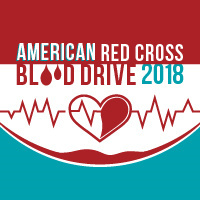 Please visit redcrossblood.org and use sponsor code: GeorgiaSU, or call 1-800-RED-CROSS (1-800-733-2765) to schedule an appointment today. Presenting donors will receive a free t-shirt and Power Red donors will receive a $20 gift card. Contact the Civic Engagement office at 404-413-1552 with any questions.